Updated thcrap to the 2016-08-10 build, and I'm finding that the loading screen for Mountain of Faith isn't displaying properly. I run Mountain of Faith with vpatch, but I tested it on both that exe and the main th10.exe. This is running at 1280x960 windowed, thanks to vpatch, but it still applies if I run it on the main exe with 640x480. No other game that I tried had this problem. 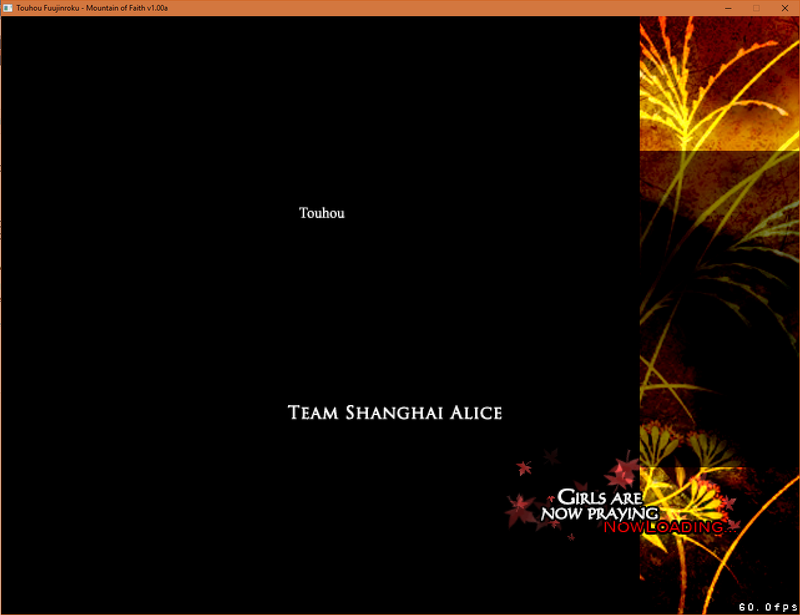 The game itself works fine, though, it's just the loading screen that seems buggy. I've attached my log file as well.